Visser introduces the all new Pic-O-Mat PF-2 transplanter. 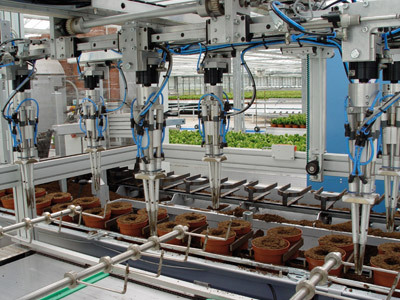 Completely redesigned in the new Visser look together with the latest technologies in transplanting. 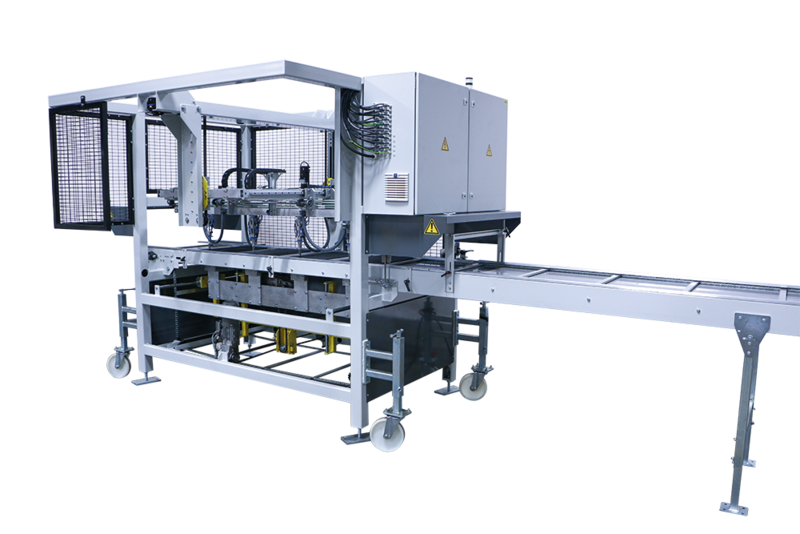 The machine is very flexible with different tray sizes and runs up to 4,000 plants (Pic-O-Mat PF-2) and 7,000 plants per hour (Pic-O-Mat PF-4). 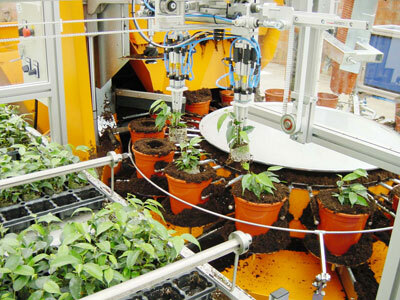 The transplanter is specially designed to plant directly onto potting machines. 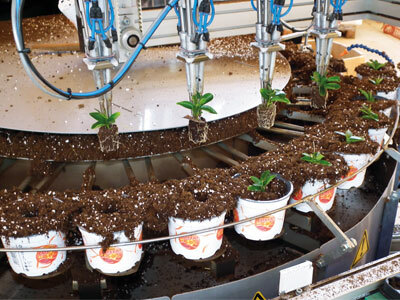 The Pic-O-Mat PF is equipped with four Visser grippers which guarantee a perfect planting result. New servo controlled motors and dedicated software gives a high flexibility in combination with a high speed. It’s possible to store up to 100 plant combinations by using the new Siemens touch screen. This enables you to switch product with just one touch and only changing the mask of the gripper manually. All is done within one minute. Pic-O-Mat PF-2: equipped with 2 grippers. Pic-O-Mat PF-4: equipped with 4 grippers. Pic-O-Mat PF-6: equipped with 6 grippers. 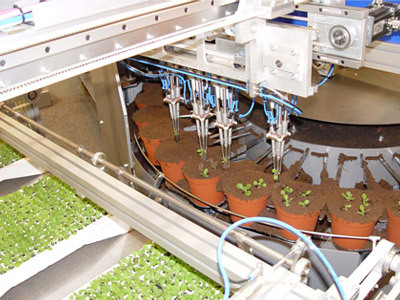 Why Choose the Pic-O-Mat PF Transplanter? Transplanting without damaging the plants or roots. 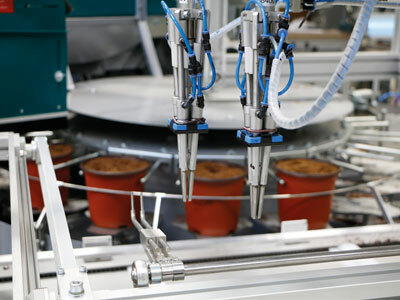 The Pic-O-Mat PF transplanter perfectly matches the Mayer potting machines: potting and planting with high accuracy and high speed.